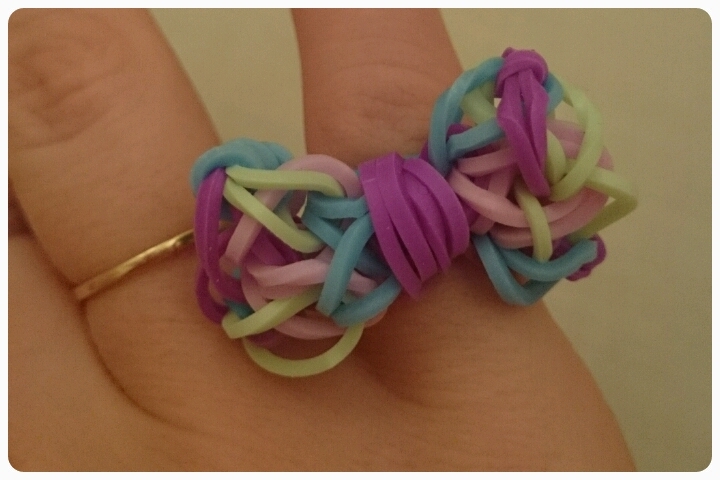 If you haven't heard of loom bands by now, just where have you been?? It has been the latest craze to sweep the nation. Proving so popular that when a dress made out of loom bands was put on eBay, it sold for a gigantic £170, 000, although the buyer didn't pay in the end!! 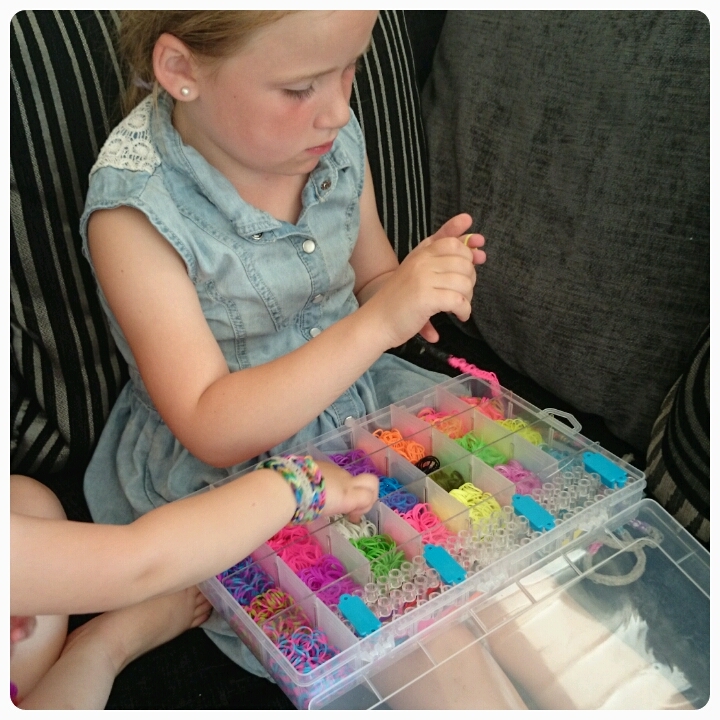 I was recently asked by Rainbow Braid if I would like to review their 5400 refill loom band kit, with the girls obssession in full swing how could I refuse. 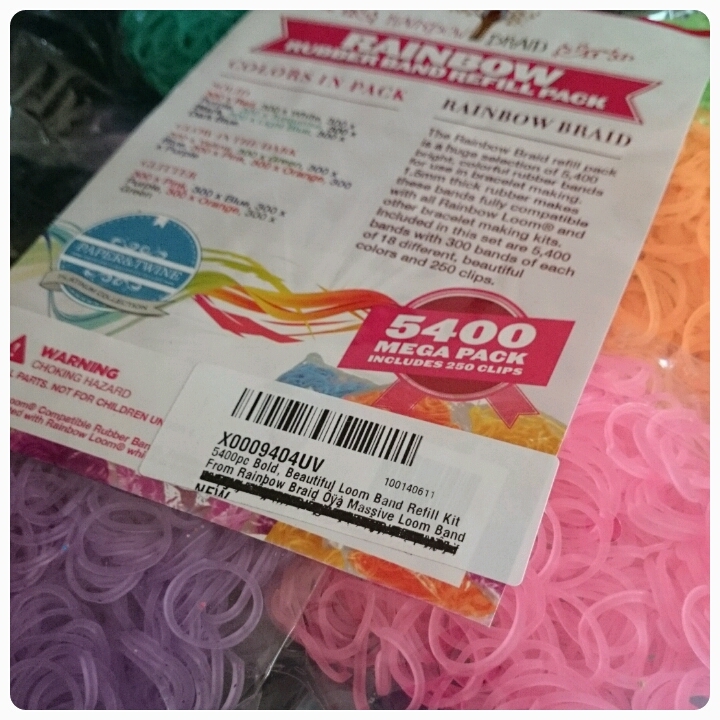 Rainbow Braid have already sold to thousands of happy customers in the USA and they are now looking to create some happy customers over here too. In the refill kit you receive a mixture 18 colours including bolds, neons, glitters and fluorescent as well as 250 clips. This kit can be purchased from amazon at the moment for the price of £14.90. An absolute bargain for the amount of loom bands you receive. We were also a sent a loom board to help us get creative, this came complete a hook. The only trouble with this kit is that because it is a refill, it doesn't come with a box for the loom bands. Luckily we already had one, so the girls wasted no time in filling it up. Elise, Freya and Gracie have stuck to the basic designs, preferring to use their fingers to create bracelets, necklaces and hair bands. I however have found myself a little bit addicted to loom bands. You will often find me on You Tube trying to find new designs to recreate for the girls. 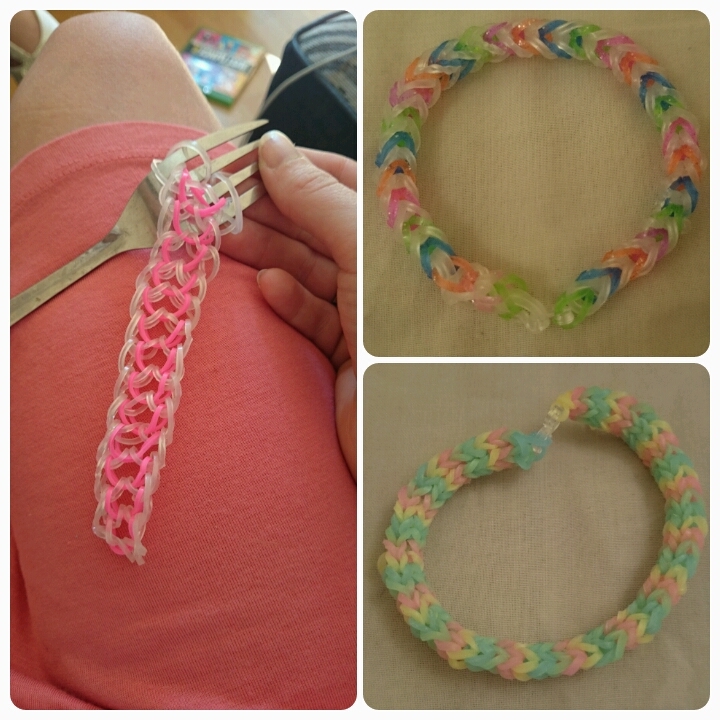 I've even ventured as far as making bracelets on forks when the girls have been using the loom board. You can see from the pictures below that I have made all sorts of bracelets including, fish tails, hexafish and dragon scale. I did mix in a few of the glow in the dark bands that we already had in our collection for added effect on the jewellery. My favourite item to make at the moment has to be the bow ring. Looks pretty on me, right? I really like the Rainbow Braid loom bands. A lot of the cheaper brands that I have bought in the past have had many bands already snapped before use and many bands that will snap after only a little stretching. 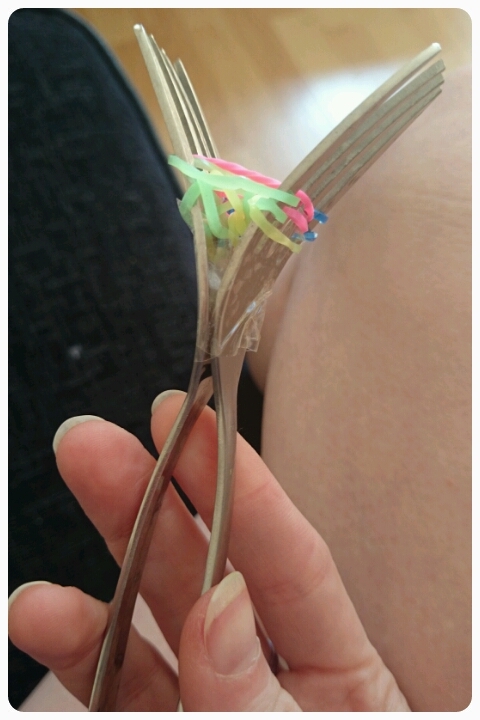 I have found these loom bands to be super durable. And the best part, these bands have been independently lab tested and are completely safe for children!!! Overall a kit that is great value for money and filled with stunning colours. It would be perfect for anyone trying to top up their collection and just as great for someone just starting out with loom bands too. Dare I say a good option for a Christmas present? Do your kids like to loom? What have they managed to create? Disclaimer : I was sent these loom bands foc hoever all thoughts and opinions are my own. Great article. Loom bands are still going strong in my household - and all over the country! Glad that you mentioned the safety aspect. There's a lot of cheap and nasty stuff going around coming out of China mostly (and full of dodgy chemicals by all accounts in recent media) so make sure that the bands you're buying are from a reputable source! I really love the charms and figurines that kids are starting to make. There's so much more to do with these bands than just bracelets.